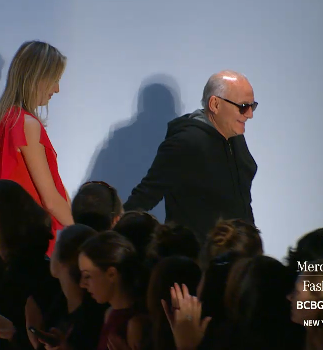 Feb. 9, 2012 – BCBG Max Azria’s fashion show began at 11:00 PM (EST) at the Theatre. The color palette involved first, a spectrum of mustard yellow, navy, burgundy, camel/tan, and black, but then transferred to a brighter palette with bright hues of orange, kelly green, yellow, white and royal blue. 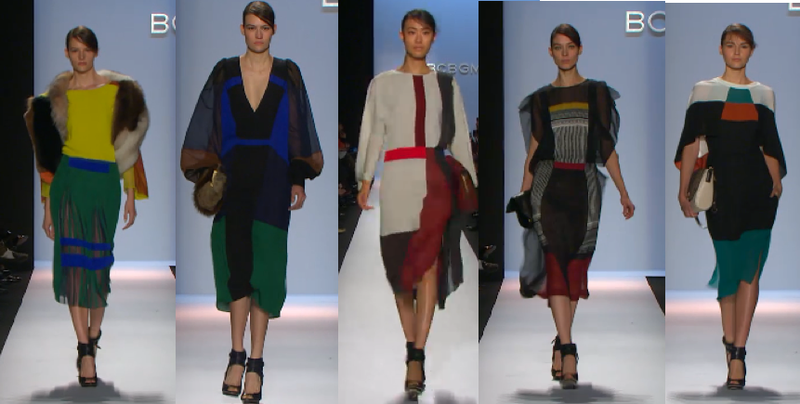 The end of the show combined both palettes together, for an even better turnout of garments. The makeup inspiration was to shoe each model’s natural beauty, with minimal makeup. Hair was parted on the side and slicked back in a chic, low, pony tail. I love BCBG! They’re one of my favs. Thanks for posting.